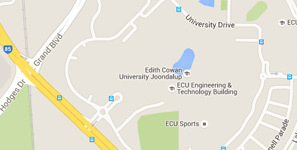 One of the world’s leading performance training intuitions - WAAPA at ECU. Experience engaging and thought-provoking learning by industry professionals and accomplished staff who provide rigorous and specialised training in our state-of-the-art performance and teaching facilities. The Western Australian Academy of Performing Arts (WAAPA) at ECU is one of the world’s leading performance training intuitions. WAAPA Connect offers Corporate Training and Professional Development, with our approach to communication and presentation skills being all about the delivery. The performance skills that have distinguished WAAPA graduates in theatre, film and television form the foundation of all of our corporate training programs. 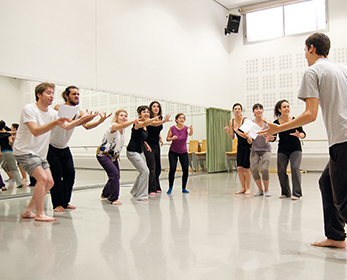 The distinguishing feature of all WAAPA Connect programs is dynamic, experiential coursework. The programs allow for practice of essential presentation skills and for reflection on communication behaviours. With more exciting courses in development, there has never been a better time to gain your competitive edge with these unique and exciting professional development opportunities. To view a full listing of available Corporate Training or Professional Development courses, please visit the WAAPA Connect short courses web page. Design Thinking is a new approach to problem solving, providing you with the tools to enhance your creativity, innovation and outcomes. This solution-focused process equips you with skills that can be used to achieve significantly better results for your business or organisation. The design thinking methodology can be applied to any issue, and is the perfect tool for thriving in a fast-paced, rapidly changing environment. Our schedule includes exciting programs in media and communications, contemporary arts and design.